Bandari will be without defender Bernard Odhiambo for the rest of the season and the first few weeks of the new campaign after the centre back was ruled out for six months following an ACL tear. 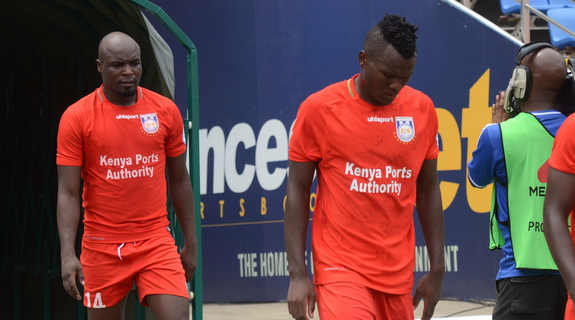 Odhiambo picked up the injury during the side’s 2-0 loss to Sony Sugar and is scheduled to undergo surgery this week. “It is unfortunate to lose him because he had become a core figure of our defense. I think the earliest we can have him back is in the second leg of next season,” head coach Bernard Mwalala said. Odhiambo’s absence will pile up Bandari’s injury woes with Wycliffe Ochomo having earlier been ruled out for the rest of the season but might be back for two or three games. Also out is second choice keeper Mustapha Oduor who has suffered a meniscus tear and will be out for three months while David King’atua is out for three weeks with a hamstring problem. “Ochomo’s surgery went well and as it looks he might be back earlier than planned. We are hopeful that he can play part in the last two or three games of the season,” the tactician stated. Bandari’s injury woes have seen them struggle and ultimately their speed at vying for the league title cut down hugely. The dockers did not win a single game in March, losing three and drawing too. The tactician believes they will have a good chance to change the tide when they face Mount Kenya United in Mombasa on Wednesday afternoon. “There is always that phase where things don’t work out. We are hopeful that we can get back to winning ways on Wednesday though it will be a tough match. Mount Kenya are bottom of the table and looking to get up and it is always tricky to play against such teams,” the coach noted. Mount Kenya have been struggling as well and travel to Mombasa on the back of four successive losses.